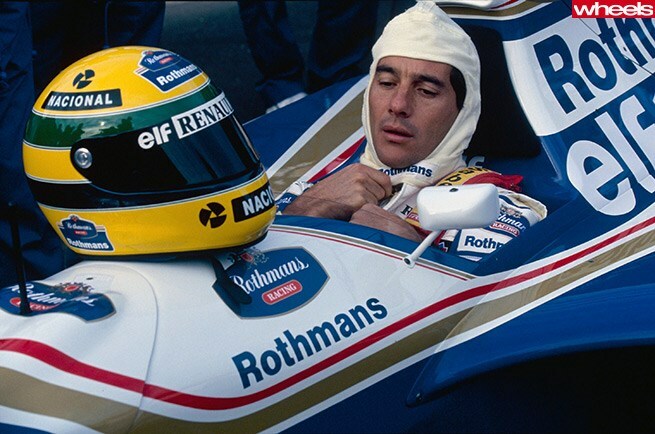 Today, 1 May, marks the 20th anniversary of the death of Ayrton Senna, the triple world champion who inspired millions and whose infamous rivalry with Alain Prost was central to an award-winning documentary titled Senna. His death in the 1994 San Marino Grand Prix at Imola in Italy shocked the motor racing world, and remains the last fatality in a Formula One race. The accident – immediately after a restart following a safety car period in which Senna was visibly upset by the pace set by the inadequate official car, an Opel Vectra – has never been satisfactorily explained, despite lengthy trials in Italy. Senna, who had started from pole position in his Williams-Renault and was leading the race, left the track at what was normally a flat-out curve, called Tamburello. It could not have been a mistake on his part, but may have been the result of his car bottoming-out unexpectedly (this was only the third race under new technical rules), a problem with his cold tyres or a sudden steering failure. Whatever the cause, it should not have resulted in his death. It was only fate – the exact angle of a suspension arm piercing his helmet as the car smacked a concrete retaining wall – that robbed the sport of its most alluring, intriguing and controversial star at the age of 34. And the circumstances of his death were eerie. Two days earlier during Friday practice for the race, fellow Brazilian Rubens Barrichello narrowly escaped death in a sickening crash. Then, on Saturday, Austrian driver Roland Ratzenberger – teammate of Australian driver David Brabham – was killed in another high speed crash that disturbed the deeply religious and thoughtful Senna, who spent considerable time at the crash site. Senna was still clearly upset about Ratzenberger’s death on race day and his friend, safety guru Sid Watkins, suggested he skip the race, and even consider retiring. After Senna crashed, Dr Watkins in the medical car was one of the first people on the scene and immediately knew his friend was dead. It has been reported that an Austrian flag was found unfurled in the cockpit, for Ayrton to wave after the race in honour of his fallen comrade. Ayrton Senna was born in Sao Paulo on 21 March 1960 and was a prodigious talent in karts before moving to England to race cars, quickly moving through the ranks to F1 with Toleman and then Lotus. Moving to McLaren brought three world championships – in 1988, 1990 and 1991 – before his switch to the now-dominant Williams team for 1994 that would almost certainly have brought more titles. Pole position for his last race was his 65th – a record that was ultimately broken by Michael Schumacher, the driver sitting in his slipstream at the time of the accident – to go with 41 Grand Prix wins. Senna was a hero to most of today’s F1 stars, none more so than 2014 championship favourite Lewis Hamilton, who wore the Brazilian’s helmet colours from his junior karting days through to his world title win in 2008. No doubt there will be many more tributes when the F1 world reconvenes in Spain at the end of next week.